We are engaged in offering Tungsten Carbide Blanks for Rotary Burrs to our prestigious customers. These are offered by us in different shapes and sizes depending upon the requirement of the clients. 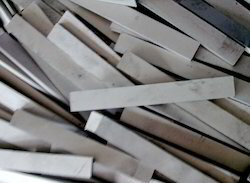 These Tungsten Carbide Blanks are used in various applications and are offered at reasonable rates to our clients. These are highly durable in their use.